Your best defense is to have regular checkups. Eye diseases do not always have symptoms. Early detection and treatment could prevent vision loss. See an eye care professional right away if you have a sudden change in vision, if everything looks dim, or if you see flashes of light. Other symptoms that need quick attention are pain, double vision, fluid coming from the eye, and inflammation. Red, watery eyes, inflamed lids, blurred vision and a sandy or scratchy feeling in the eyes may indicate that you have conjunctivitis. 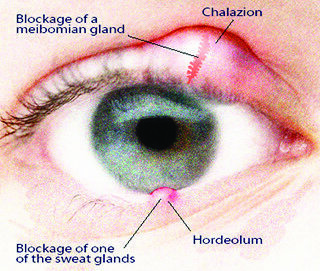 Pus-like or watery discharge around the eyelids may indicate an infectious form of the disease. 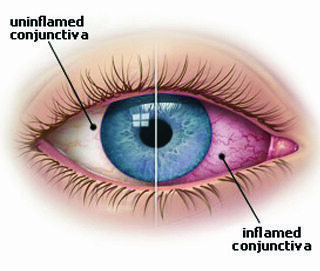 Conjunctivitis is an inflammation or infection of the conjunctiva, a thin, transparent layer covering the surface of the inner eyelid and the front of the eye. It affects people of all ages. A slit lamp or biomicroscope evaluation is part of our standard eye exam and detects differentiate the many different types of Conjunctivitis. A stye is a small area of redness and pain on the margin of your eyelid may indicate that you have a stye, known in medical terms as an external hordeolum. A stye is a blocked gland at the edge of the lid that has become infected by bacteria, usually Staphylococcus. A slit lamp or bio-microscope evaluation is part of our standard eye exam and detects and helps manage different types of Blepharitis and Styes. The most scary thing about glaucoma is that it can steal your vision gradually and without your noticing. The best defense against glaucoma is a regular eye examination. Glaucoma most often effects people over age 50. 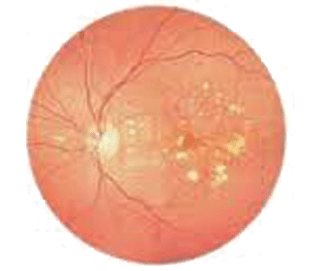 A Visual Field Test and Eye Pressure Test and Optic Nerve Evaluation all are part of our standard eye examination and help screen for Glaucoma. A disease that prevents your body from making or using insulin to break down sugar in your bloodstream, can affect your eyes and your vision. Macular degeneration is most common in people over the age of 65 but there have been some cases affecting people as young as their 40s and 50s. 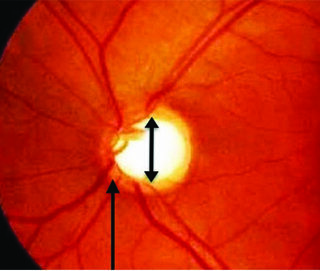 Symptoms include blurry or fuzzy vision, straight lines like telephone poles and sides of buildings appear wavy and a dark or empty area may appear in the center of vision. An Amsler Grid Test is part of our standard eye exam for older people and helps detect Macular Degeneration. 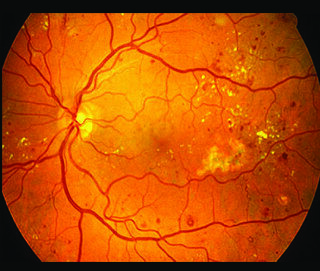 We also offer Retinal Imaging to help detect and manage quicker changes from Macular Degeneration. 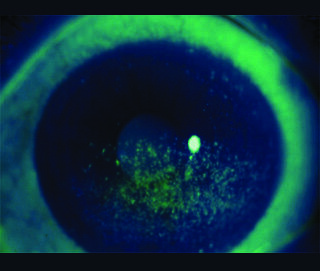 If your eyes sting, itch or burn, you may be experiencing the common signs of “dry eye.” A feeling of something foreign within the eye or general discomfort may also signal dry eye/ A slit lamp or bio-microscope evaluation with a special dye to evaluate the tear film is also part of our standard eye exam. Presbyopia is a natural break down of the ciliary muscle and accommodative system. Have you ever heard the old saying, “Your arms are getting too short…?” Perhaps you have Presbyopia. 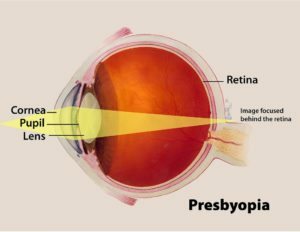 Presbyopia is not a refractive error, but rather, a condition of the eye. Specifically, Presbyopia is a natural break down of the ciliary muscle and accommodative system. As our body slows its production of collagen, the elasticity in the lens inside of the eye, the crystalline lens, loses its ability to flex. When we view something at near, many things are happening in the eye-brain visual system automatically. The eyes turn downward and inward (convergence) and the lens inside the eye focuses on the reading material, or near image. This is known as accommodation. Our ability to accommodate for near tasks gets more and more difficult as we age. While medicine has made great advancements in the ability to slow the aging process of the body, the aging process of the eye cannot be controlled. Accommodation is the body’s response to blurry near vision by adding magnification at near. The accommodative system counteracts blurry images up close while using the eye-brain visual system to add magnification (convex lens power) to aid in near vision. After a while, as the lens loses elasticity, accommodation becomes increasingly difficult. This leads to asthenopia, or uncomfortable vision/tired eyes. Thanks to technology, science and engineering can replace the magnification abilities of the lens with an ophthalmic lens. An ophthalmic lens can converge the light rays at varying focal lengths just as the eyes’ natural system. If you have Presbyopia, you are in a very popular group… baby boomer’s and beyond… The good news is, technology has kept up with your visual needs and can supply advanced lens system to aid in your correction of Presbyopia. Whether in an office, or relaxing on a ship, there is an optical solution to your visual needs.